ARTnTHAT: Placement at On|Off London & Paris Fashion Week. Placement at On|Off London & Paris Fashion Week. I have been selected as an intern for Doll where I will be working at On/Off London Fashion Week & Paris Fashion Week. Im incredibly excited to be part of Fashion week in both of these AMAZING cities. This is truly a once in a lifetime opportunity - an opportunity of being able to network with Fashionistas from across the globe. 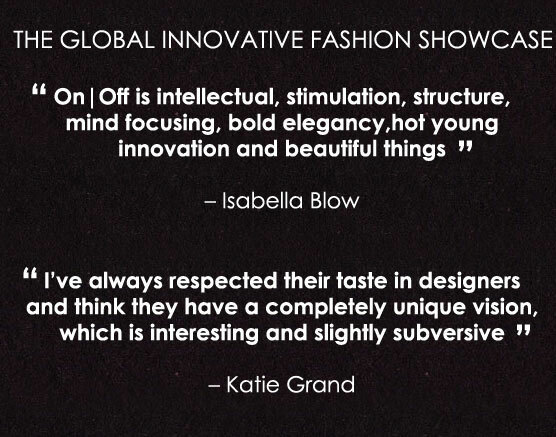 On|Off has a strong international reputation of showcasing 'design over hype' with a track record of discovering and nurturing new talent including Peter Pilotto, Gareth Pugh, Louise Gray, Yang Du, Mark Fast, Aminaka Wilmont and Hannah Marshall to name a few. 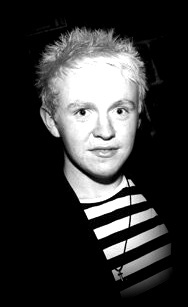 I first became involved with On|Off during a "Guest at Grays" Guest Lecture from Lee Lapthorn - director of On|Off PFW and LFW, Fashion consultant, Print designer & external examiner printed textiles St Martins. He talked of how his career as a textiles designer had influenced his involvement within Fashion week and had resulted into the creation of On|Off which I felt deeply interested in. There is going to be some truly inspiring designers showcasing their work at On|Off and I'm so excited to see them in action. 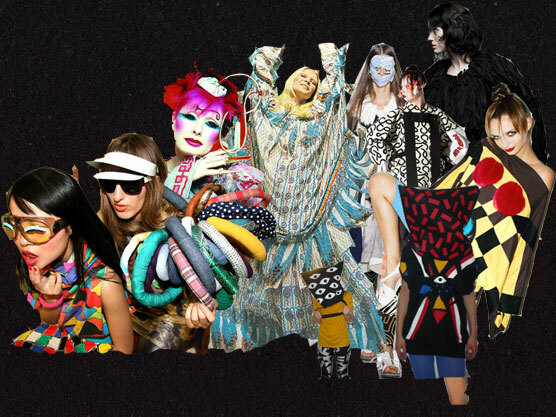 To read about and see some of the designers who have shown at On|Off click here. Below is a clip of On|Off Paris - Can you spot Vivienne Westwood and some of the other well known names in Fashion? On|Off Paris SS12 September 2011 from On|Off TV on Vimeo. Im so excited to begin working in both London and Paris Fashion weeks and you can make sure to keep unto date with both Fashion Weeks as well as all of my own experiences and time in London and Paris via @artnthat on twitter as well as via my schedule below.